Printables must ONLY be used for personal use! They can not be sold or altered in ANY way! 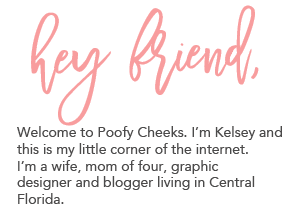 If you post pictures on the web which include the printables it must have a link back to my blog. I would really appreciate if you shared a few pictures with me too so I can share them on my FB page! Children’s birthday parties are always so much fun and I love knowing that my designs are making their way into your home! Here are the files in PDF form. Print them onto white cardstock or onto full sheet shipping labels to make stickers. so much. I was looking for ideas and these are perfect. Very nice. Thank you!! Thanks for posting! The thank you labels link comes up as the circle labels. Could you update the link? I tried to open the Thank You Labels and it opens as the circle labels for the cupcakes. These are great! The thank you labels link takes me to the circle labels. Could you update this link? Thanks so much! These are beautiful. Thanks so much for sharing. Are you sharing the girl-themed invitations? When I click the link above, it only offers the boy theme. These are exactly what I was looking for! Thank you so very much. I did notice when I was opening the files the "Thank you" labels are the same as the cupcake labels and the invite is blue…are you able to offer the pink version. Thanks so much for offering these, they are PERFECT!